Posted bykellyjomcd	 February 4, 2015 February 4, 2015 Leave a comment on Hey, Coach….thanks. I grew up a coach’s kid. Our family activities revolved around sports. The majority of my time was spent at a small Iowa gym, and having to shoot 10 free throws in a row before I could come in the house and eat dinner was standard protocol. Even the families we hung out with were other coaches. It was the norm. 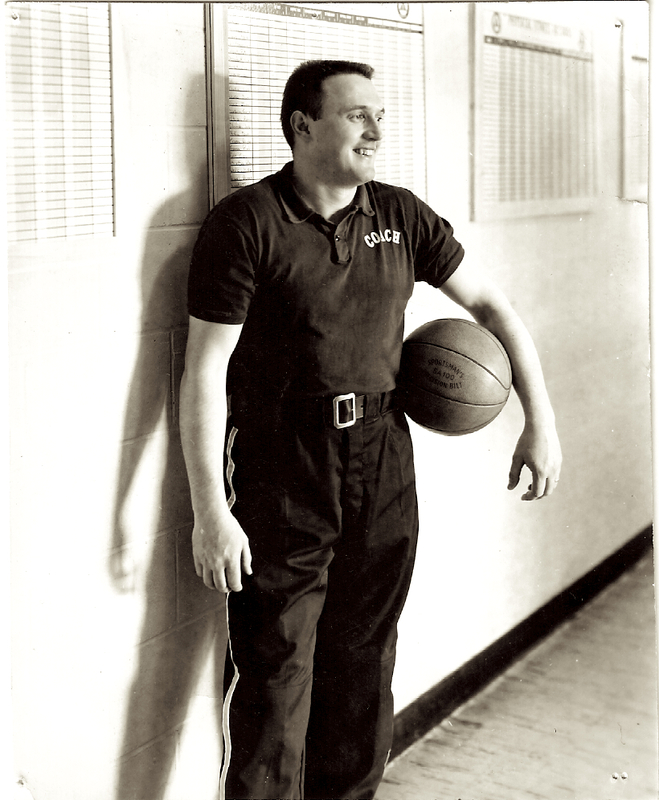 It wasn’t until my Father, who is in the Iowa Coach’s Hall of Fame, passed away three years ago, that it hit me. As I gazed at the massive visitation line, I was struck with how many people came up to me with a story to share about “Coach McDonnell”. Each story was heartfelt, and I could tell he had made a huge impact on their childhood. My Father always said good coaches are what make the difference at a young age. But what makes a “good” coach, really? And what is it about a good coach that makes adults remember their coaching for years after the fact. We’re not talking about coaches like Bear Bryant. This is about the youth coaches that are introducing our kids to the sport they want to play – in short, usually their first coach. We as parents know that coaches and sports in general can be enormously influential in the lives of our kids. Involvement in sports helps with physical fitness, teamwork skills and discipline. According to Safe Kids USA, there’s over 38 million kids engaged in some form of sports each year, and almost 75 percent of American households with school-age children have at least one student athlete. Yet, this athletic involvement comes with its own challenges, chief among them, coaches and parents being too competitive. Translation – the sports can stop being fun. How do coaches, along with parents, walk the fine line? How do coaches ‘level the playing field’ so to speak. Coaches are known for being able to handle pressure. Whether you are on the sidelines of a NFL team, or your son or daughter’s youth soccer team, the pressures are there. And the similarities of all “good coaches” are there, as well, especially the ones that thrive despite the pressures. Everyone will have a slightly different answer to the question “what makes a good coach for my kid?” but similar theme’s rise to the top when talking to both parents and coaches. Being positive and making the sport fun are at the top of the list, as well as being able to develop confidence in every player. But how about the parent or team that gets the coach who doesn’t high five or praise, but tends to be a “yeller”. Just as there are similar threads to what defines a “good” coach, there are similarities that go the other way, as well. Parents agree: effective coaches should not use embarrassment and humiliation as teaching tools. Coaches who refuse to be flexible also pose challenges to the kids and their parents. Midwest Traveler – Lindstrom, MN., knows how to warm up holiday shopping! Kelly Jo McDonnell, Blog at WordPress.com.